With its breath-taking architecture and rich history, a vibrant mix of different cultures and a vast choice of different residential areas each with their own unique vibe, London is without doubt one of the most exciting places to begin a new life as an expatriate. If your employer has decided to relocate you to their office in England’s capital, then you are not alone, as the latest statistics show London is home to a staggering 1.1 million businesses. Renowned as a prosperous area of the world for companies in a variety of sectors, London has always been viewed as a global hub for business and as a result attracts many expatriates to the capital. However, at Dovetail we also understand that moving to a city of London’s magnitude can also be overwhelming, especially with the sheer choice of areas to live and London’s fast-moving property market. With a total of 32 London boroughs and different postcodes within the boroughs, it is a little daunting working out the best places to live – that is why our relocation services are designed to identify the very best locations for expatriates making the move to London. At Dovetail Relocation, we provide a wide range of services that will help you make your move to England’s capital as hassle-free as possible. Whether you are moving solo, or with your family, you can guarantee that Dovetail will provide you with the support needed to help you quickly feel at home. Our dedicated team is incredibly experienced in helping those from diverse nationalities relocate to London and have an unrivalled understanding of what the priorities are for those on the move. Whether you require support in identifying the perfect London based property or school, help with settling in or even assistance with returning to your native country, the Dovetail team is able to support you with every aspect of your move. To explore how Dovetail can assist you in reducing the amount of time and stress that is associated with moving to London, then take a look at our relocation services today. The city of London encompasses a total area of over 1,500 km², so there’s a huge variation in the different areas within the city meaning you have a fantastic choice of London postcodes to call home. With an excellent public transport network of buses and underground rail called The Tube or The Underground, we will work out the best areas for you based on your commute to work and your desired lifestyle. Dovetail has helped our clients settle in areas across the whole of London, so there is no one better placed than our team to help you identify the ideal London location for your own move. We are skilled at understanding your lifestyle priorities in order to recommend a personalised choice of the best places to live in London. Central London is the beating heart of England’s capital, and is the choice of location for many of our clients at Dovetail. With some of the world’s largest businesses being located within this area, relocating to central London provides convenience and minimal commuting times although the high cost of property is important to consider. 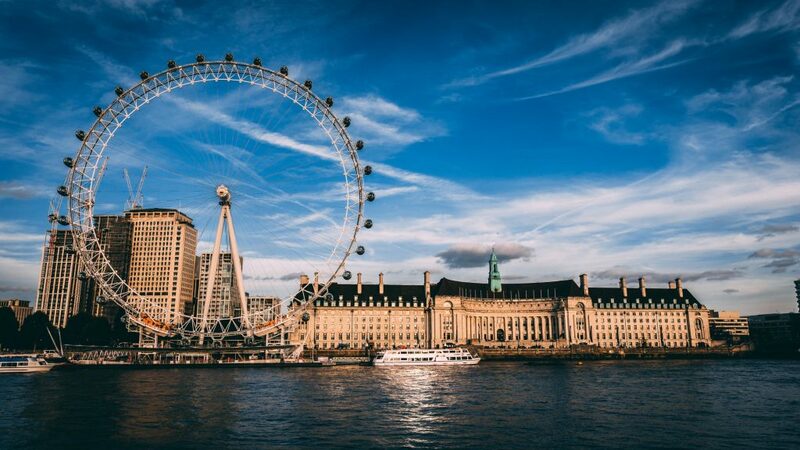 In addition to this, there are all the wonderful attractions in London’s core, such as Hyde Park, Piccadilly Circus, Westminster, the West End with all its theatres and of course Buckingham Palace, home to the Royal Family. When compared to the all action areas of Central London, North London provides a more relaxing vibe. North London is home to stunning green open spaces, such as Regent’s Park, Primrose Hill and Hampstead Heath. It is very popular with expats due to the location of The American School in London (ASL) in St John’s Wood and Southbank International school with campuses in Hampstead and Westminster. Dovetail has helped many clients relocate to North London, with some of the most popular locations including Hampstead and St. Johns Wood, but also to lesser known areas like Belsize Park. London’s East End has also become popular following the heavy investment in the area’s Olympic Park which resulted in much needed regeneration and the creation of an attractive residential neighbourhood. Also home to Canary Wharf with its sky scraper global financial institutions, this part of East London is home to many millennials, and the surrounding areas boast some of the lowest property prices in the capital. On top of this, East London has amazing historical attractions such as The Tower of London, great transport links to the rest of the capital and of course, a vibrant nightlife in the trendy areas like Shoreditch. Thanks to its abundance of prime properties and lovely open spaces such as Holland Park and Kensington Gardens, West London is seen by many as London’s most prestigious area to live. The school choices are good for expat families with the International Community School in Marylebone and International School of London further west in the Chiswick area. From West London it is also possible to access the ACS group of international schools in Hillingdon, Cobham and Egham. Homes within the areas of Kensington, Fulham and Chelsea are particularly sought after by expatriates looking to move to London. In addition to this, the Crossrail route provides great travel links, and you can shop till you drop with Kensington High Street, the King’s Road and Westfield Shopping Centre all close by. Dovetail increasingly moves expatriate families to the lesser known but popular family areas of South London and in particular the “green” SW postcodes of Wimbledon, Richmond, Putney, Wandsworth and Clapham, all of which boast an enormous amount of green space, perfect for younger families. With a selection of cinemas, bars, cafés and restaurants throughout the area, there is entertainment for all the family in South London. Additionally, South London has a good variety of property at affordable prices, as well as great transport links with north of the river and a strong community feel. So, it is easy to see why South London areas have become so popular amongst those looking to relocate to the capital. Speak to Dovetail Relocation today! If you are planning a move to London but require specialist support with your relocation, then get in touch with the dedicated Dovetail Relocation team today. To talk directly to one of our helpful advisors with regards to your upcoming move, call us on 01243 790044 today. Or if you are unable to speak to us over the phone at this moment, you can request a call back at a more suitable time by completing our quick and simple online contact form.